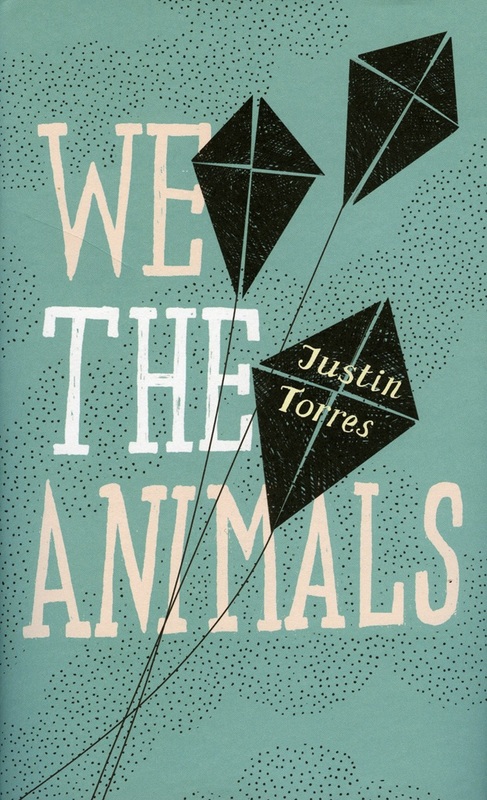 Justin Torres’ first book, We The Animals, is extraordinary. It’s a story about what it means to come-of-age, what it means to start out life as part of a unit, a pack, and then to become an individual. The narrator guides the reader through the disorder of growing up with two older brothers, and parents who are as chaotic as their lives. “We wanted more,” he begins, and his voice frames the chaos with a craftsmanship that is remarkable. “We were six snatching hands, six stomping feet; we were brothers, boys, three little kings locked in a feud for more.” The book is a series of snapshots of that life, and with each one the narrator becomes more aware of himself, and what his story means. And so it goes, chaotic and wild through the life of the three boys, through the life of his white mother and his Puerto Rican father, all the characters chasing around like animals, reacting to situations, not thinking about them. Until, that is, the narrator hits puberty, and discovers his sexuality, and what that means to this primal way of life. In the reviews, none of the heavyweights – New York Times, Washington Post, New Yorker, Time Out (New York) – mention the narrator’s sexuality. This is probably a good thing for the book sales. And in some ways the discovery of the narrator’s sexuality is so bound up with the ending that it reads like a spoiler. It is, nevertheless, his homosexuality that separates the narrator from his brothers and his parents. First it marks him out as an individual, where he is thinking of his own needs and not those of the pack, and second it makes him different from them, so that they no longer identify with him. We The Animals is, in the Granta edition, as beautiful a book physically as it is emotionally. There really is a great pleasure in holding it. It feels as individual as the story it tells. This is something that Granta is consistently good at. The Magazine of New Writing: 117, for example, is as wonderful a book to hold as it is to read. I started to read We The Animals on the train, and there was a woman sat opposite me with a pinched face, reading a Kindle. Without pages, without individuality, part of the book is lost. The message of We The Animals is housed in the perfect frame, and I am grateful that Granta continue to consider this an important part of the process. A book as wonderful as Justin Torres’ debut deserves no less.